Cine film transfer services for home or professional films. 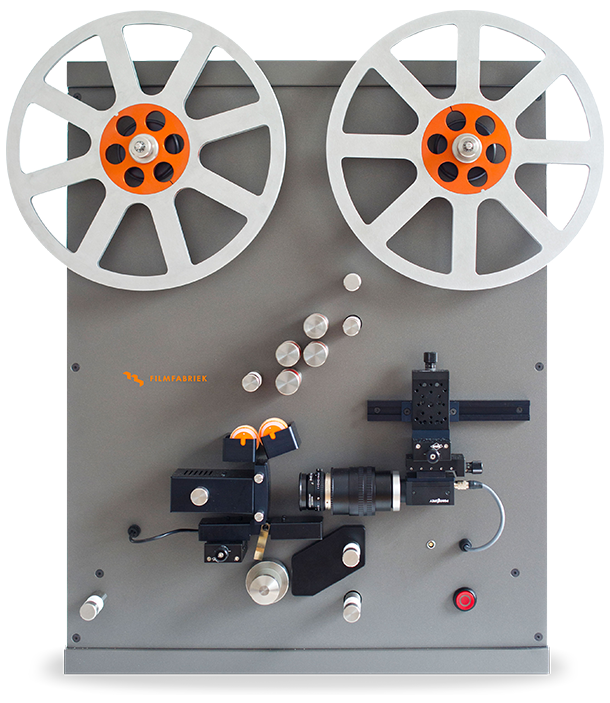 We scan all cine films to Full HD, 2.6K or 4K on our Filmfabriek HDS+ movie film scanner to provide stable, flicker free high resolution output of even the oldest vintage films. F or movie films in 8mm, Super 8, 9.5mm Pathé, 16mm and Super 16 gauges. All films can be digitally restored to enhance your viewing pleasure and all at very affordable prices too. We do more we clean, scan and restore, watch our video now. How we transfer – To get the best out of any movie film we hand clean to remove dust and dirt particles before capture, we then scan, frame by frame in up to 4K with high quality optics to uncompressed files to capture every detail, film restoration software can then be used to help remove any remaining dust, dirt and film anomalies, pictures are also de-grained and sharpened. Output to a format of your choice including MP4, DVD, BluRay and digital edit files and image sequences. You can have outputs in range of formats from raw scans or we can then pass the files through a video editor to make additional subtle colour corrections, trimming out any blank sections ready for export. For DVD and Blu-ray discs we add backing music for silent films adding any on screen titles as required. We also include an on screen navigation menu making it easy to play just the reel you want. We also keep a safety master for 1 month from dispatch. HD or 4K digital files can be provided for archiving or home or professional editing or playback on smart TV’s or tablet devices. See our reviews for complete peace of mind! Our minimum charge for all orders is only £56 + delivery this is to cover up to 250’ft of film for transfer. Use the table below or simply contact us by email or phone and let us know how many spools you have for a no obligation instant quote. You only pay for the amount of footage you have! On Screen Tiles Titles or captions can be created to identify on screen each segment as required at £1.50 per caption. Film with Sound Films with either an optical or magnetic soundtrack can also be transferred at a surchage of 5p per foot on reel prices above. BluRay discs can include around 1,500’ft of film (8mm) £30 for BluRay. Digital Files Ready formatted for easy home or professional editing, formats include .mov, .avi, MP4, H.264, ProRes, DNxHD and others at only £2 per film file. Excludes the Highlands and Islands of Scotland, Northern Ireland, Isle of Man and Isles of Scilly – A small additional charge may be made at cost depending on the size and weight of the consignment. European and international deliveries will be charged at cost. Digital safety backup copy held by us. 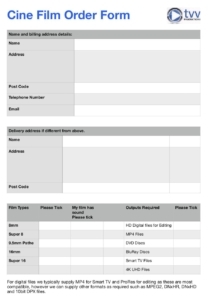 First month free of charge, if you require us to hold a copy on our systems for a longer period please let us know. Professional film transfers for TV and Film Art productions: With a larger than HD 1920 x 1200 sensor and a 4k sensor at 4096 x 3000 we can overscan and scan to DCI sizes, we can output to DPX 10bit, ProRes or uncompressed AVI files in log so you can have the scan exactly as you require, just ask us for further details. Flicker Free Transfer Quality We take great care transferring your films, optimising colour rendition and brightness levels. The transfer technique we employ is very flexible coping better with amateur footage which can sometimes be over or under exposed from scene to scene, our system evens out this exposure difference and ensures higher quality digital transfers at a much lower cost. Our Guarantee of quality – Your films will be treated with the utmost of care and returned with your order, we have strict quality control as all transfers are completed in-house. We have many years of experience working with delicate vintage small gauge films from Kodak’s Kodakchrome, Pathé, Kodascope, Fuji, Agfa, Polavision, Technicolour, Ilford, Boots, Perutz and others and will be happy to answer any questions that you may have. Send us your films or drop them off. You can post your films to us, we recommend either Royal Mail Special Delivery, Parcelforce express 24 tracked or via a courier service. Call in and drop them off at our Newcastle office, we are open 9:00am until 5:30pm weekdays. Please select the film amounts you have. Footage on 100'ft or larger reels. Please state the total amount of footage of your larger reels. We can output to any or all of the following formats. HD and 4K UHD file transfers will require storage on a portable USB hard drive or high speed USB3 memory stick, depending on the size of the order. These will be supplied on a fast USB memory stick. Please state the film gauges you have. We respect your privacy and your details will not be passed on to any third parties or used for marketing puorposes.